There are more than 20,000 species of lichen, found growing out of the soil, on tree trunks or on rocks; they grow in all climatic zones. 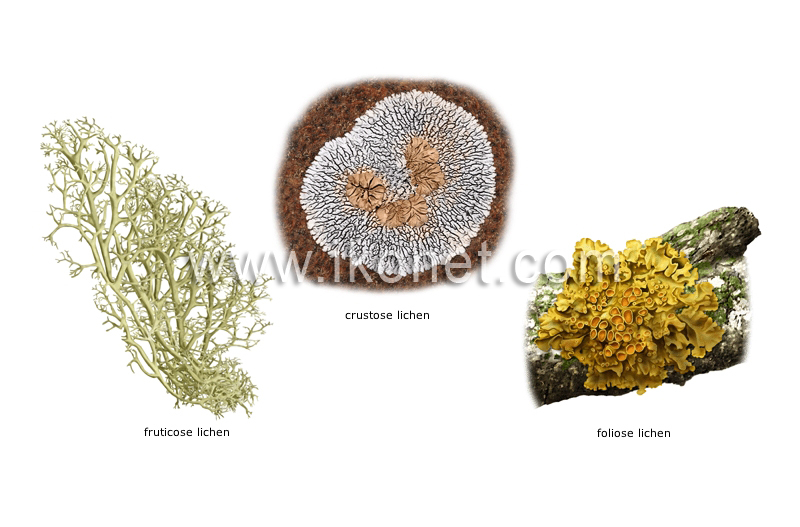 Lichen whose thallus resembles leaves or lobes that are loosely attached to their substrate and can be easily removed. Lichen whose thallus forms a crust that is firmly attached to its substrate. Lichen whose thallus resembles a small tree; it is attached to its substrate at a single point.